Excel Metal & Engg. Industries Is Manufacturer, Supplier And Exporter Of Acme Quality Screwed Flanges. 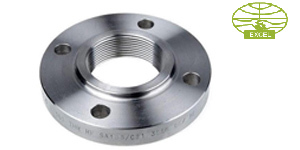 Screwed Flanges Are Mainly Used To Connect Other Threaded Components In Any Low Pressure Applications. ANSI B16.5 Screwed Flanges, ASME B16.47 Screwed Flanges, Alloy Steel & Carbon Steel Screwed Flange, DIN Screwed Flanges, Stainless Steel Screwed Flanges In India, DIN Screwed Flanges Manufacturer & Supplier in india.